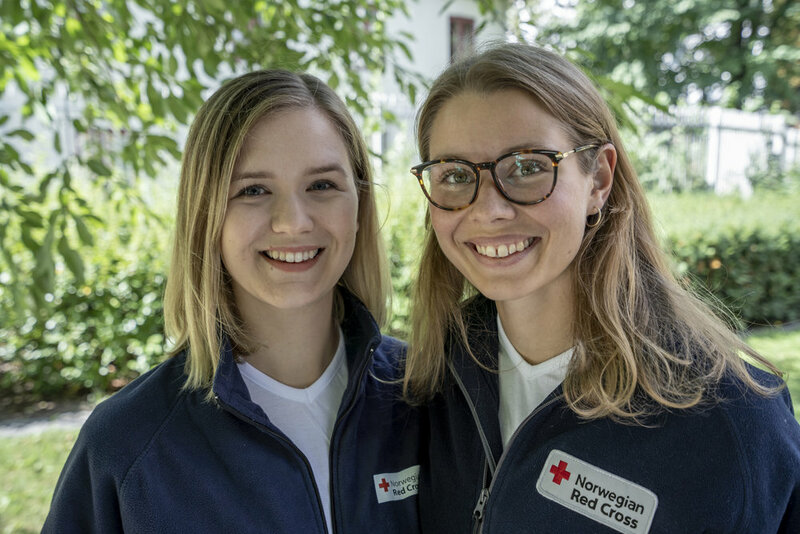 Whether you are a family member or friend in Norway who wonders about our lives in Nanyuki, or whether you are a Red Cross youth volunteer who hopes we are adjusting to living in Kenya, this post is meant to give an insight into what a typical day in the life of a Norwegian Youth Delegate in Laikipia might look like. Make your way through the gallery below to see some snapshots! Every morning starts with coffee. Black coffee, without milk or sugar, which many Kenyans find strange. Good morning coffee is essential for a successful day. We usually bike or walk to get to work. This morning we met a particularly pleasant cat. On our way to work we walk through an open-air market. This is where we get our vegetables and fruit. This is where we work! Notice the beautiful weather. Mornings in Nanyuki are always gorgeous. We have decorated our office with the Norwegian flag and the Norwegian Red Cross Youth banner. Ingrid telling Elfi about her work plan for the day. We like trying new food for lunch. Here is Elfi enjoying chapati, ndengu and cabbage. The “short rains” season has started, so it usually rains in the afternoon. On this day, we made it back after lunch just before it started raining. Sometimes Red Cross volunteers come to hang out. Elfi enjoys the company of Moses and Naphtalie who both sit in the Branch Youth Committee. In the afternoon, we go grocery shopping, work out, or try to explore our new town. Can you spot Mount Kenya? 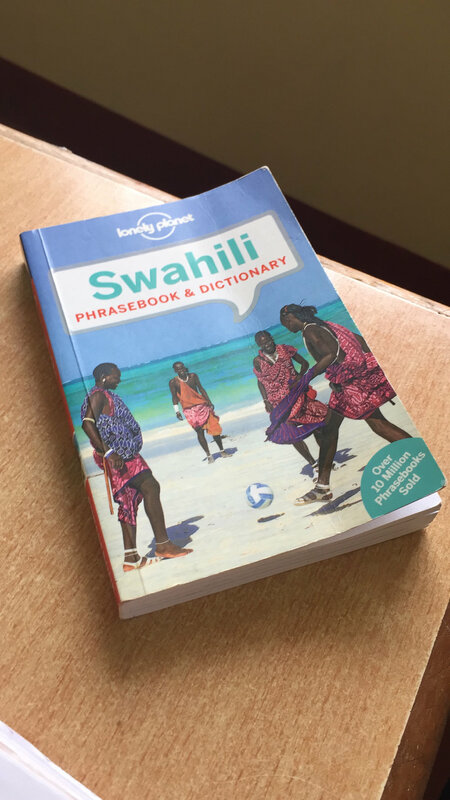 We have a goal of learning a little (kidogo) Swahili each day. We often do this in the evening. Newer Post"How is it to be a youth volunteer in Laikipia?"